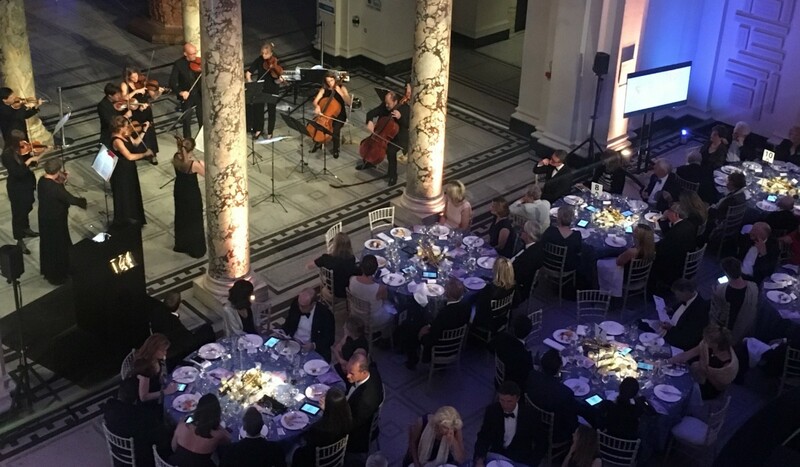 From gala dinners to private performances, Academy fundraising events provide an opportunity for individuals and companies to support the orchestra while being part of some memorable events. We have created a group called the Divertimento Group to recognise the support of individuals that have contributed through our series of unique and special events but are not credited under our membership schemes. 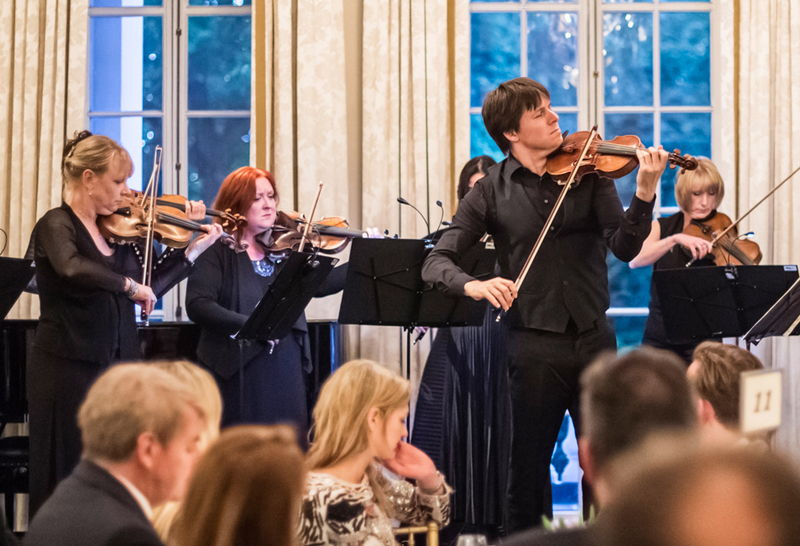 Thank you to everyone who joined Academy musicians and our Music Director Joshua Bell for a very special musical soirée at the Ten Trinity Square Private Club. This evening offered the rare opportunity to enjoy the Academy’s unique performances of much-loved classical music in an intimate setting, accompanied by delicious food and wine. All proceeds from the evening are going towards supporting the work of the orchestra, including our youth and community programmes in London which deliver inspiring music-making projects to participants of all ages, backgrounds and abilities. If you were unable to attend, but would like to make a donation to the Academy of St Martin in the Fields, please visit our donation pages. We began the festive season on Tuesday 5 December with a special evening hosted by Lady Marriner in the exquisite setting of The Charterhouse. Guests enjoyed a glass of mulled wine, mince pies and seasonal fare, followed by Christmas music and carols with members of the Academy orchestra and chorus. This event was in aid of the Academy of St Martin in the Fields (Charity Registration No. 289294). If you were unable to attend, but would like to make a donation to the Academy of St Martin in the Fields, please visit our donation pages.